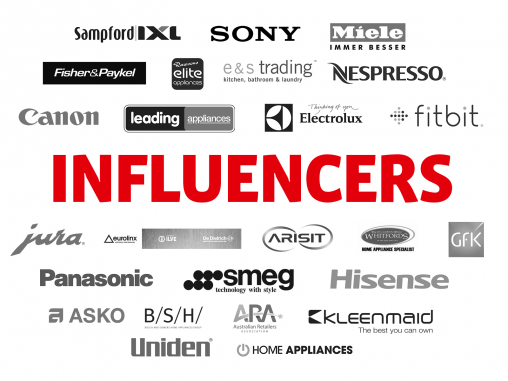 In our final installment of Influencers for 2014, Appliance Retailer offers some thoughts on the industry and thanks those who participated. Today we meet Peter Hammerman, the owner of 2nds World, a retail group specialising in factory seconds, display models and units with “cosmetic blemishes”. He expressed optimism for the remainder of the year. Andrew Whitford is the proprietor at Whitfords of Five Dock, a famous family-owned appliance showroom in Sydney’s inner-west. He predicts that cooking will be a source of sales and success as the renovation market improves. Russell Zimmerman is the executive director of the Australian Retailers Association. From his unique position atop the industry’s peak body, he explains why he is a little bit more optimistic for the remaining months of 2014. LG is experiencing something of a renaissance in Australia, re-entering several categories and now playing at the premium end of the ultra-competitive smartphone market. Let’s find out what’s been happening. Hisense is embarking on an adventurous year, with new product categories rolling out and new retailers signing on. Let’s find out what’s happening! Gwenno Hopkin is the general manager — retail tracking services at GfK. She reflects on a flat 2014 so far and highlights some pockets of the growth for the remainder of the year. Today we enjoy a cup of coffee with George Liakatos, head of sales at Jura Australia. He says the famous name in Swiss coffee machines will be focusing more and more on the point-of-sale as it seeks to emerge from challenging conditions. Steve Morley is the general manager of Fitbit. He’s here to tell us why the fitness craze is taking off and how the industry needs to support emerging technology trends. After a turbulent 12 months at the venerable Japanese brand, Sony Australia deputy MD Vincent Yip is looking forward to selling some highly featured TVs and cameras and making headlines for the right reasons.